LANCE'S SUPERIOR AUTO SERVICE - A distinguished ASE Blue Seal of Excellence Certified NAPA AutoCare Center. 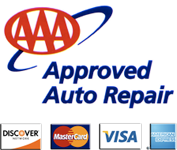 LANCE'S SUPERIOR AUTO SERVICE - Save money on your vehicle maintenance by visiting our Promotions page. LANCE'S SUPERIOR AUTO SERVICE - Where an oil change is a preventative maintenance program enhancing the reliability of your vehicle. Visit our services page for a comprehensive list of vehicle services. Fuel Injection Service Our 3-part system cleans the entire fuel pathway. Timing Belt Replacement Many vehicles utilize a timing belt for some engine components. Transmission Service Complete tranmission system flush and fluid exchange. Power Steering Flush Chemical flush and exchange using specialized cleaner. Brake System Service / Flush	Moisture is the enemy of brake systems. Our complete brake fluid flushing service can help prevent expensive brake system failures. For 28 years Lance Griffin has been serving the Wilsonville community in automotive service and repair. Conveniently located just off I-5 on Boones Ferry Road, Lance and his staff's mission has always been to take care of their customers' vehicles like they would their own - with quality and integrity at a fair price. 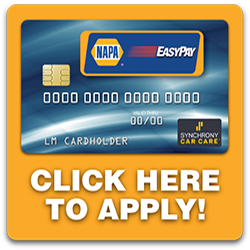 Lance and his staff are proud members of the NAPA AutoCare Program, AutoCare NW, the AAA Authorized Repair Facility Program, the Better Business Bureau and the ASE Certified Blue Seal of Excellence Program. They are also an official State of Oregon DEQ Repair Facility. With state-of-the-art equipment, collectively over 85 years of experience, and continued leading edge training, Lance and his staff can handle virtually any service or repair your vehicle may need. Open Monday - Friday 7:30AM to 5:30PM (Closed Saturdays and Sundays). Night time drop box available at rear entrance to shop.